I’ve visited this fine city many times but never got my party on. 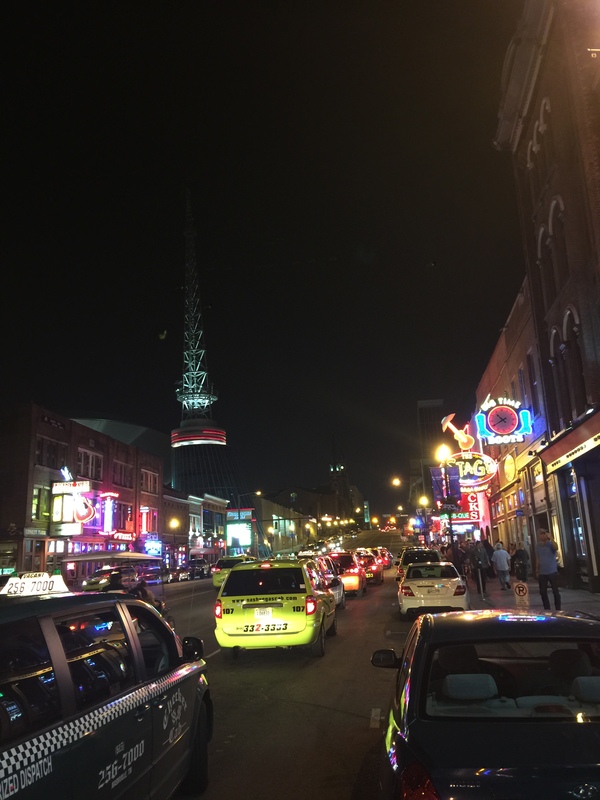 With only a few hours to spare, I checked out a few Nashville’s nightlife spots on Broadway Street. Broadway Street is pretty easy to find. Just head for the tall AT&T building that looks like Sauron’s Tower from Lord of the Rings. I stayed a few miles away and took a cab for $6.00 Easy! Hello Good Times! it is really easy to stay in this vicinity and catch a cab. 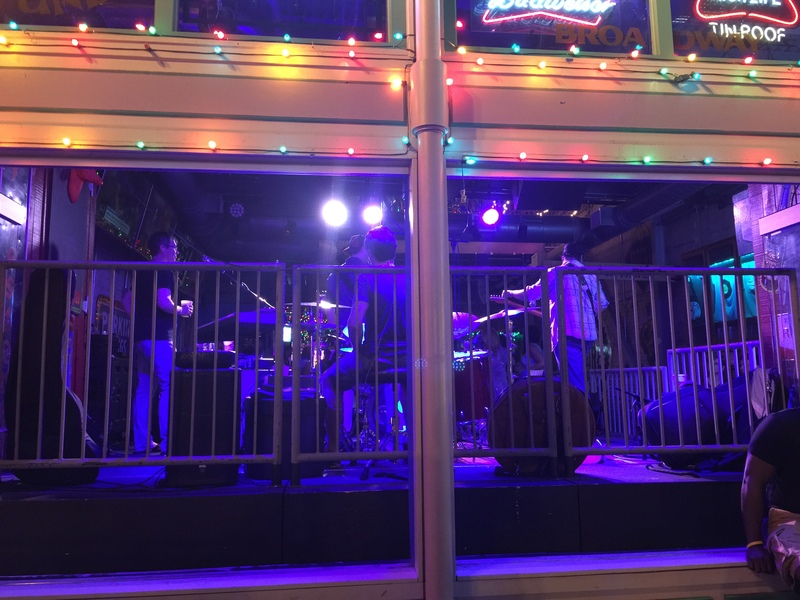 I visited on a weeknight after 10 pm and was blown away by how many live music places threw out great sound. You can hear the wonderful sounds pouring out into the street. Legends Corner-Filled to the brim with memorabilia. The walls are covered with such interesting things. Original Elvis albums and a guitar once owned by Johnny Cash. I love Johnny Cash! Robert’s Western World-A honky tonk place that is a boot store by day and a party by night. I really loved this place. The music was fantastic and they make a great burger! Some upcoming bands can be seen at The Stage. This place was packed and had some pretty great music. A lot of cover but I was also able to hear some new stuff from a younger band. Really fun! 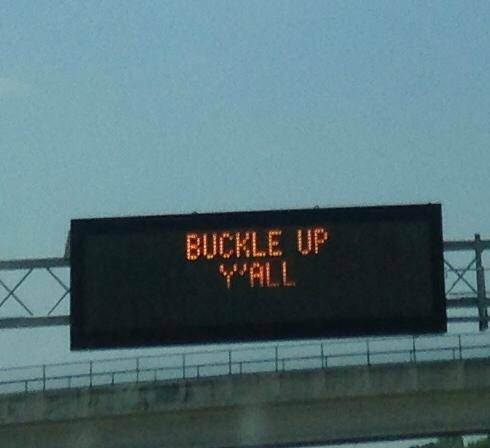 This ain’t your Daddy’s country! Tootsie’s Orchid Lounge. Classic place that has stood the taste of time. Awesome music and memorabilia. MEGatip; Don’t forget to go upstairs. 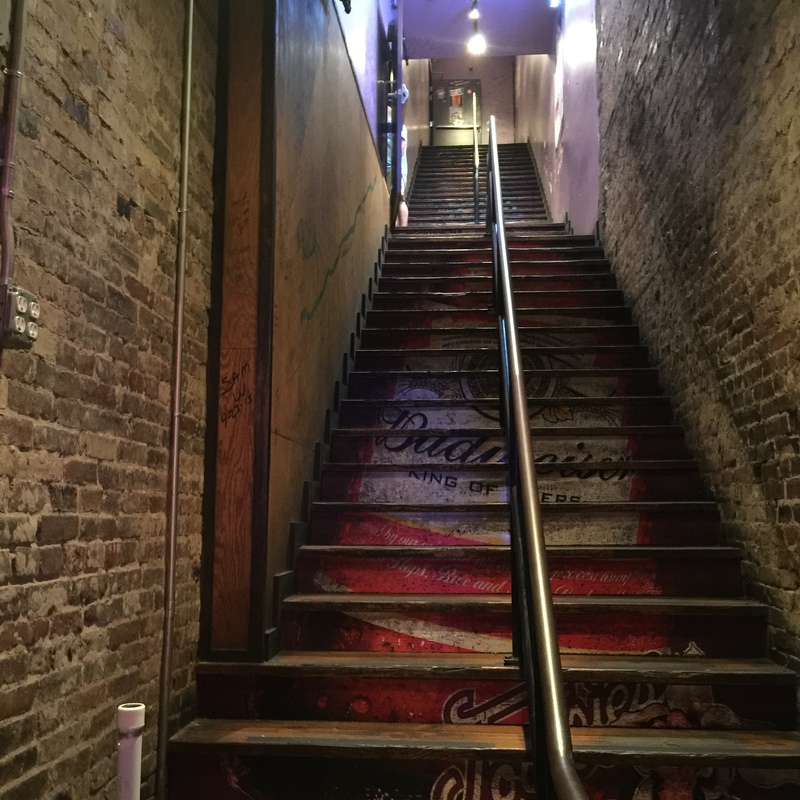 There is a door where so many legends took after performances at The Ryman Theater. So many fantastic places and so little time. If you do not care for country music, you may want to consider opening your mind to the possibilities of fun. 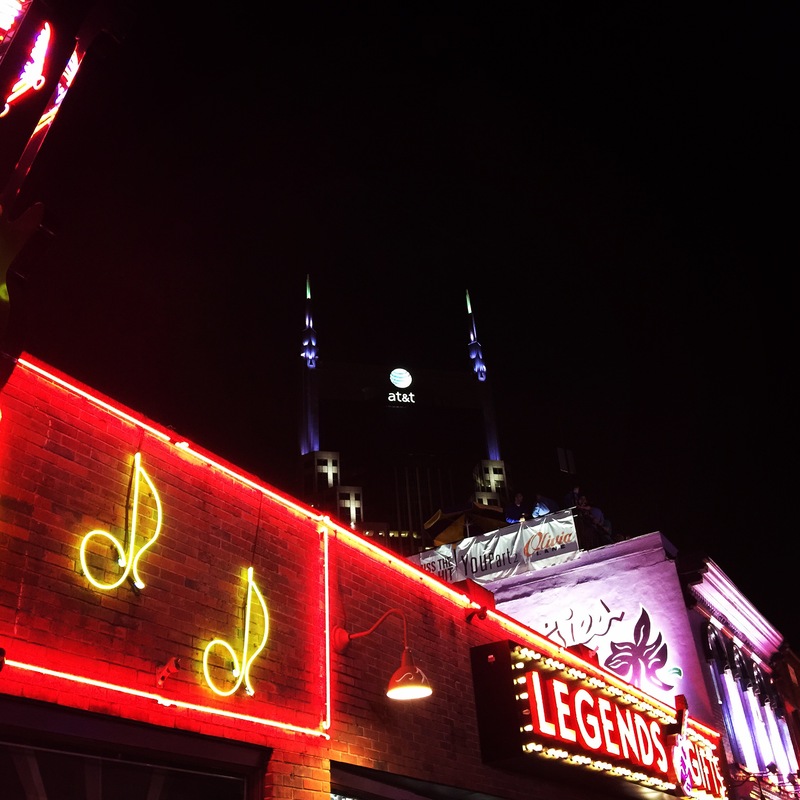 There is a variety of music to be found and one heck of a good time. I have my own metaphor that I have used so very often. “Never rule out a man/woman in cowboy boots.”-MEG What I mean with this quip is that you may close yourself off to the best experiences and amazing people who could be in your life. Besides, who doesn’t like Elvis and Johnny Cash? -A special thanks to my wonderful daughter who not only learned this life lesson but introduced me to this fine MEGastop. Really fun and interesting things to do and see on this street! There really is so much to see and do here. Lucky for me, I pass through this city often. I am inspired to stop in more often. There were no cover charges. These folks apparently live off tips. Be prepared to get asked at each stop for a contribution and bring some cash. Plan to spend several hours just wandering around. Don’t drink and drive. The cabs are so easy to use. Unlike I ever do, plan your trip to Broadway Street. This area is large and there are quite a few sites to see. If you are able to stay at The Gaylord Opryland Resort and Convention Center. DO SO. It really is a do not miss. I did not stay here on this visit but have stayed there several times. It is a place all of it’s own. I could blog about this place-it’s that cool!